The increasing numbers of students seeking admission in the Academic Institutes (School, Colleges, and Universities) are causing tremendous pressure on the administrative body of the institutes to manage and arrange the admission process manually. It is difficult now to conduct the process accurately and in timely manner. Hence, the need for online admission is inevitable. 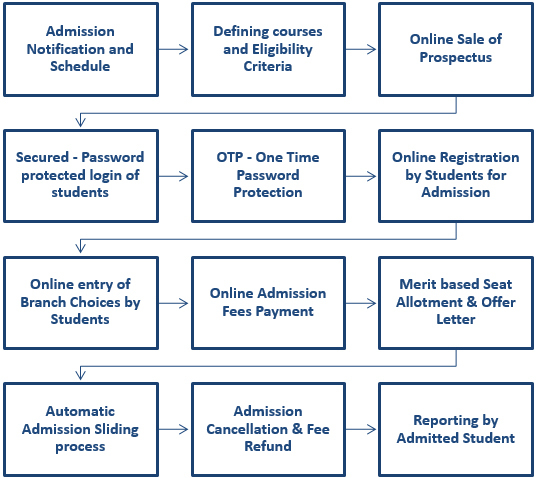 The Offered Solution is developed to help automate the admission procedure. The system is a web-based application which can be accessed anytime & from anywhere. The system has three tier access models. Enhance Productivity : As a result of this institute can utilize these man power resources in other activities. Very Accurate and Reliable - The process is very accurate and reliable due to limited human involvement. Customizable Real Time Reports: Institutes can monitor the ongoing process. Have day to day summary of progress of the admission. The software has the ability to set up criteria (home student / outside students etc.) and calculate of the said basis. 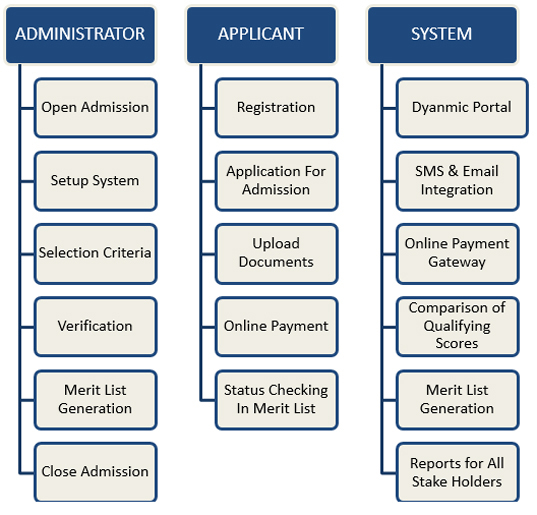 The system is stable to perform multiple registrations at a time, can handle multiple connections.